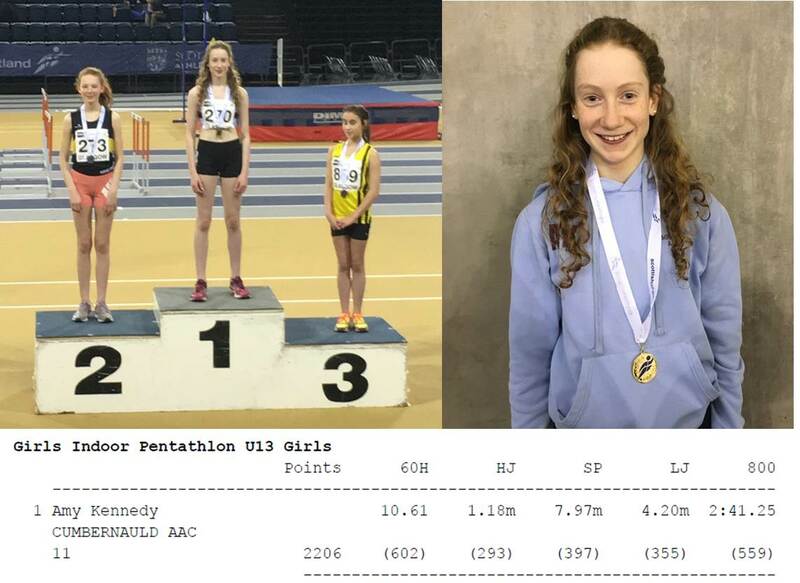 Last weekend Amy Kennedy, Arran Kennedy, Euan Wallace, Hannah Wallace and Aimie Hendry represented the Club in this years National Combined Events at the Emirates Arena – all doing exceptionally well. Winning 4 out of the 5 Events – well done Amy! Great New PB’s in the High Jump for Aimie and Long Jump for Hannah – great performances from the pair of you!